A live poker tournament without cards and dealers? That's exactly what the International Federation of Poker is offering at their European Nations Cup in Cyprus next month. 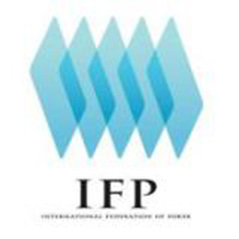 The IFP's first event of 2013 at the The Annabelle Hotel in Paphos, from 12th-15th April 2013, will see feature some swanky new technology including individual smartphones with which players will receive their hole cards. Players will also be able to analyse their action closely as every action at every one of the tournament's 14 tables will be logged. The tournament will feature 14 teams including the UK and Ireland, and will be staged using the Match Poker format. This variant deals the same hand to players positioned in the same seat across multiple tables, minimising luck and maximising the skill element of the game. The top 6 countries will qualify for the IFP Nations Cup Final which takes place later this year.